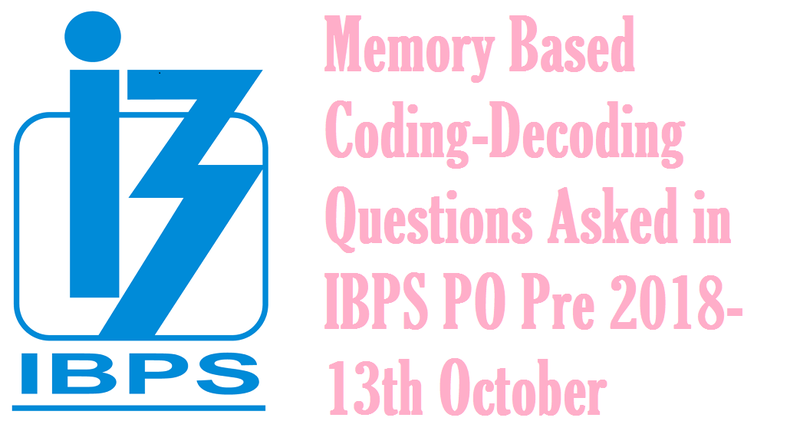 Dear Students, We are sharing Memory Based Coding-Decoding questions which has been asked in today's IBPS PO Preliminary 2018 Online examination in the first shift. 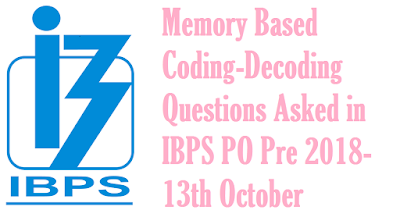 Directions(Q1 to Q5): Read the following information carefully to answer the given questions. Q1. Find the code for ‘rifle’? Q2. What is the code for ‘major’? Q3. Find the code of ‘army’? Q4. The code ‘tik’ represents ______ word? Q5. What may be the code for ‘army with’?